Scoop neckline with V-gusset and adjustable ties. Straight hem with ruffled hem. 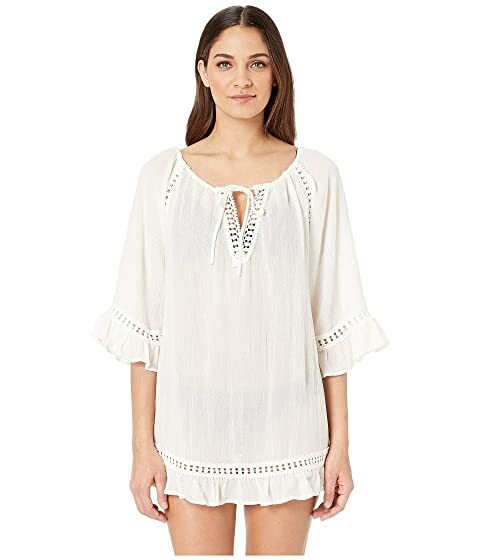 We can't currently find any similar items for the Summer of Love Lua Cover-Up by Eberjey. Sorry!